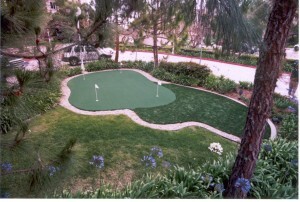 Refine your putting stroke and practice your chip shot on a Lake Shore Sport Court signature backyard putting green. We have the tightest, truest-rolling synthetic grass, with natural breaks and slopes that mimic those on your favorite golf course; it’s like having a country club right outside your back door. We specialize in the finest knitted and tufted putting greens, with the most strands per square inch of any synthetic turf available. Each putting green is custom-built to your specifications and budget. Mastering the putting green is the surest way to lower your handicap and make your golf game more enjoyable. 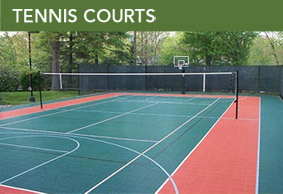 Lake Shore Sport Court located in Lake Geneva, serves southern Wisconsin and Green Lake areas. Contact us today for a friendly hassle-free estimate. You can also surround your putting green with a lush fringe synthetic grass, for a real-grass look and feel that gives you a place to practice the short chip shot. Fringe synthetic grass is made of tufted nylon with a reinforced root zone and the “blades” of grass stand up to continuous use without losing their realistic look. 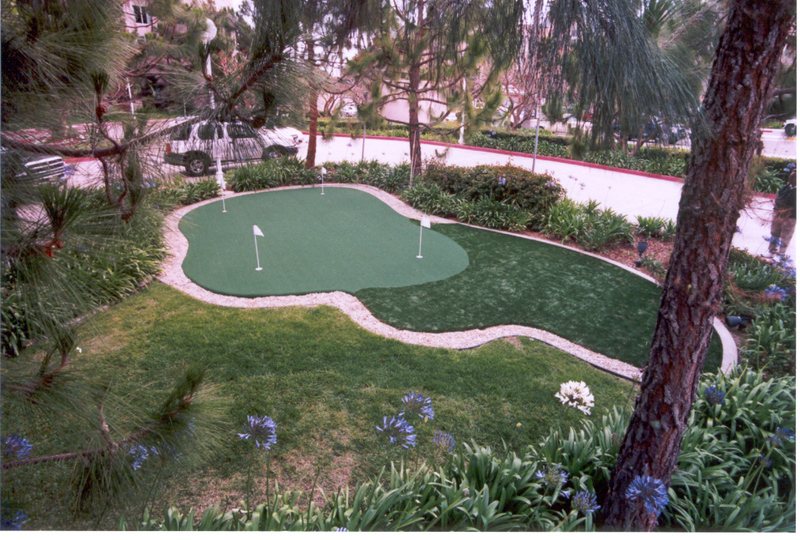 Your putting green by Sport Court West features Natural Break Technology(TM), allowing for the most amazing, natural ball travel a synthetic putting green can provide. The fibers suspend the ball like natural turf for optimum speed and roll. The result is a true break, every stroke. 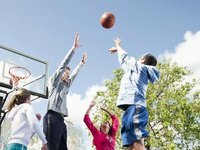 So the accuracy you develop on a Sport Court West putting green will transfer effortlessly onto all the greens of your favorite courses.